With a handful of new camera apps now arriving for iOS on a daily basis, the onus is most certainly on developers to bring something a little new to the table each time. 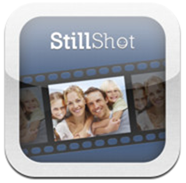 Social plug-ins and filter effects have been implemented to the maximum, so in order to offer iPhone users a feature less prevalent, Macadamia Apps has put together a nifty number called StillShot. Like all good apps, it takes a frequently faced problem and offers a solution, rendering the entire iOS experience just that little bit more complete. If you’ve ever paused a video taken on your device and wished to use that still as a photo, then lend me your attention for just a couple of minutes. In the aforementioned situation, you may – like I have on a number of occasions – simply use the iOS screenshot feature to capture the golden moment within your video clip. If you’ve recorded in decent lighting conditions and kept the camera relatively still, you’ll find that in actual fact, the image is almost as good as if it were snapped by your device’s camera. Unfortunately, we’re not all movie directors, and I will happily hold my hands up to the fact that my camera skills do often leave a lot to be desired. Thus, if I want to keep a record of a specific frame within a video clip on my device, I tend to find it’s somewhat blurry and uneven – not the sort of result I would want framed and kept above the mantelpiece. Enter StillShot. 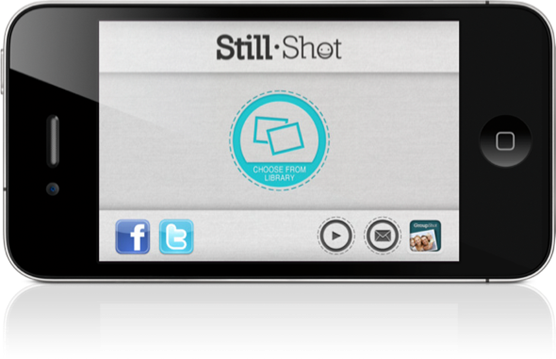 Designed intentionally for the very purpose, it allows you to create a full-res photo from any of your pre-recorded video files by including the ability for frame-by-frame analysis. This way, you can capture the very optimal frame from which to extract the snap, and easily then save it to your photo library or Camera Roll. It doesn’t downscale the original video in a bid to appear a lot sharper than it actually is, thus will hold the captured resolution of your device’s video camera. You needn’t be a professional – it’s very easy to use and does exactly what it proclaims to do. 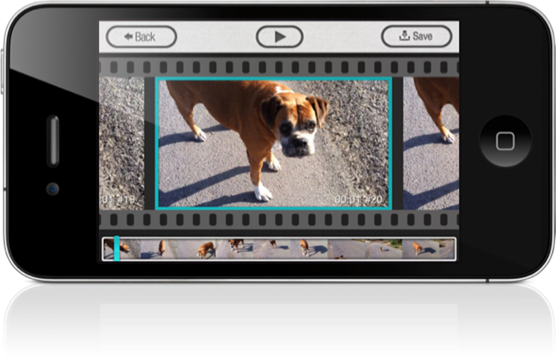 It costs 99 cents from the App Store, and if you’re the type of person who constantly wishes to keep parts of a video clip as photographs, this app is your perfect companion. Check out our iPhone Apps Gallery and iPad Apps Gallery to explore more apps for your iPhone and iPad and iPod touch.